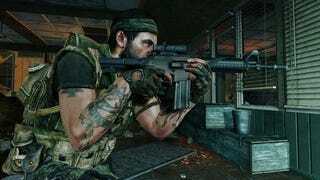 Microsoft struck a deal with Activision guaranteeing all map packs and game add-ons for Call of Duty: Black Ops will release first for the Xbox 360. The agreement, just announced at Microsoft's E3 news conference, runs from 2010 to 2012. "When you want to play Call of Duty over the next few years, you'll want to play it on Xbox 360." Don Mattrick, the head of Microsoft's interactive entertainment division, told the audience. The Xbox 360 is currently getting timed exclusive DLC on Call of Duty: Modern Warfare 2. There were no specifics on how long the Black Ops DLC will be on Xbox Live before it arrives on other services.